Back at the start of this month, Elly announced the winner of our first competition, if you remember the prize was “Easy Entertaining” by Darina Allen and a Ballymaloe Cookery School apron and the winner chosen at random was Rhyelysgranny. When we announced the winner it came to our attention that Grannymar (frequent commenter, fellow blogger and Elly’s Mum) was planning on meeting up with Rhyelysgranny for afternoon tea and she volunteered to act as courier for the prize. So last week, the two met for afternoon tea, a chat and the “prize giving” and from both accounts they had a wonderful afternoon and are looking forward to doing it again. We have a winner! The competition closed yesterday at 5pm and we listed out all the entries and then asked our friends on Twitter to throw out a random number. We’re delighted to announce that the winner is Rhyelysgranny! If you haven’t already checked out her blog, Tea & Wheaten Bread, then you really should – especially her recipe for scones, we’ll be trying that one this weekend! 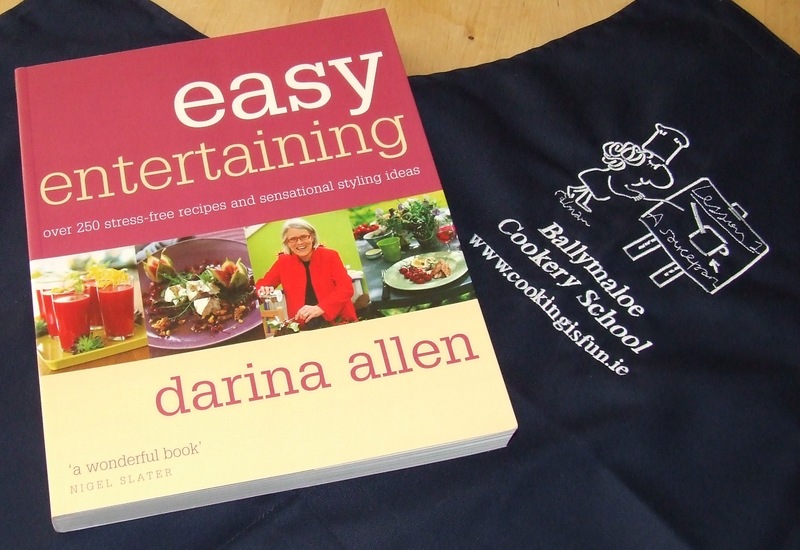 Congratulations, we hope that you enjoy the Darina Allen cookbook and Ballymaloe apron!